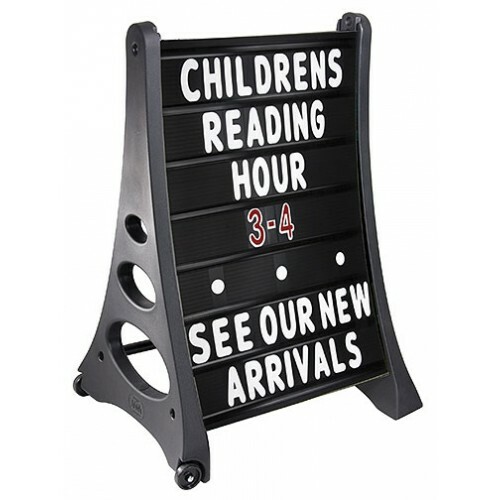 The same great looking frame of our Easy A-Frame sign but with a changeable message panel. The curved sign channels accommodate a large 24" x 36" coroplast sign. The sign is 42" tall by 29" wide and 24" deep. The faces are easy to put into the unit and change easily. Moves in and out easily with recessed wheels. The sign faces are 24" x 36" and made of coroplast. 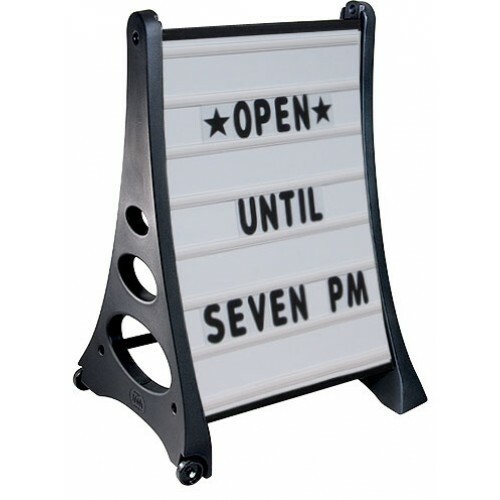 The sign contains two faces that have seven lines to add your special message. The letters easily slide into the tracks to create your special message. 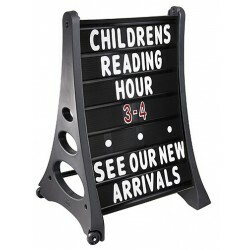 Each sign letter set contains 314 - 4 inch tall letters, numbers and and symbols. The white board contains black letters and red numbers. The black board has white letters and red/white numbers.